6th grade. That’s when I first heard this quote. 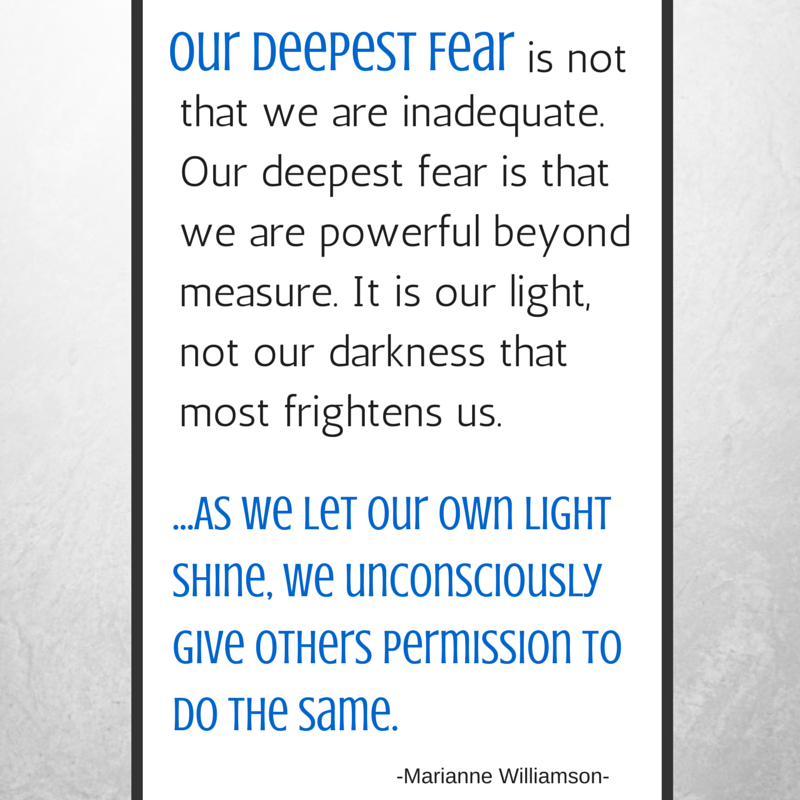 It’s inaccurately been credited to Nelson Mandela but was actually written by Marianne Williamson in her book, A Return to Love. However, had it not been miscredited to Mandela, I most likely would have never heard it. As far as I know, we don’t know how or why, but somehow these words were attributed to Mandela after his ’94 inaugural speech when the quote gained momentum and spread around the internet. It was said that these words were a part of his speech, although they never were. According to nelsonmandela.org, Mandela never uttered these words in any of his speeches. Regardless, I know it came across my path at age 12 due to this fortunate mistake. Words are powerful. 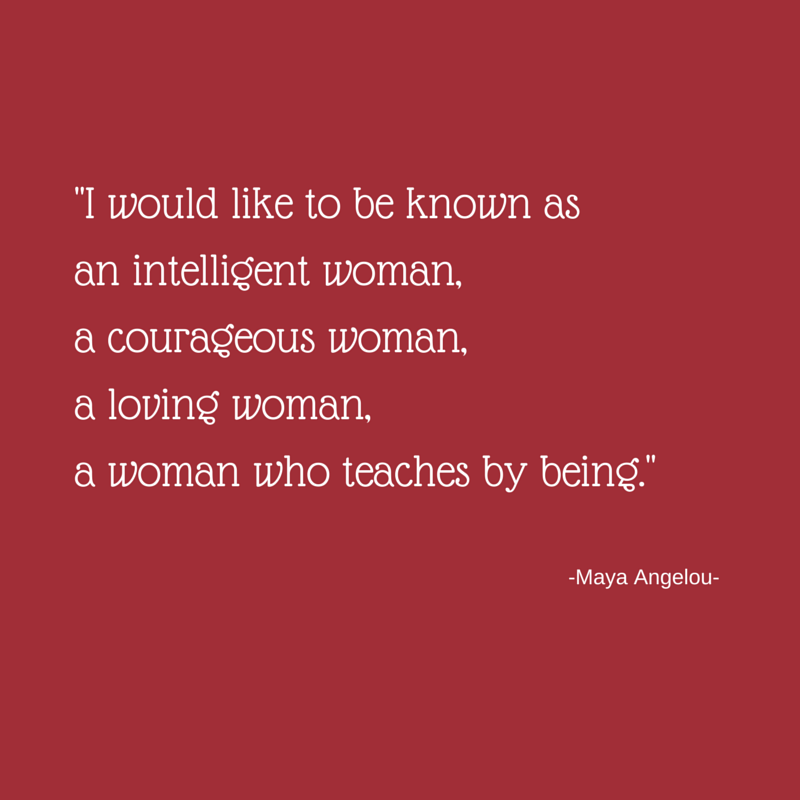 I remember when I read this quote in 6th grade and how it resonated with me at the time. I remember thinking, “Yea. This makes sense!” Most importantly, I remember acting on it. It resonated so well with me that it changed me. I remember approaching situations with the understanding that if I was my best, if I let my light shine, that other’s would be able to do the same, and I began to see that it’s true! I bet I reread this quote once a month. I live it, but it’s always a nice shot of inspiration, a nice shot of staying positive, motivation to always be my best, and a reminder of the impact that my choices can have beyond myself. This is a principle we should teach our kids. I think many of us hit on “be your best” and “shine your light”, but I think we should hit harder on how those choices can liberate others to do the same. We’ve all heard, “kids are mean”. I see and hear adults focus on this quite a bit. But I have to say, in the big picture, I see a lot more of kids being kind and helpful than kids being mean. The beauty of my 5th graders is that they want to help those around them, they want to feel helpful and appreciated. I think this is a message kids will understand; I know I did at age 12. I think kids are less selfish than we give them credit, and they’ll be further inspired to be their best if they were taught that they empower others when they do so. My class Skyped with author Lisa Graff on Thursday. The entire experience was, in the words of my students, “exciting”. I couldn’t wipe the smile off my face throughout our 45 minute Skype meeting, because pure joy was emitting from each and every one of my students. I hope this is an experience I can provide for my students in future years. 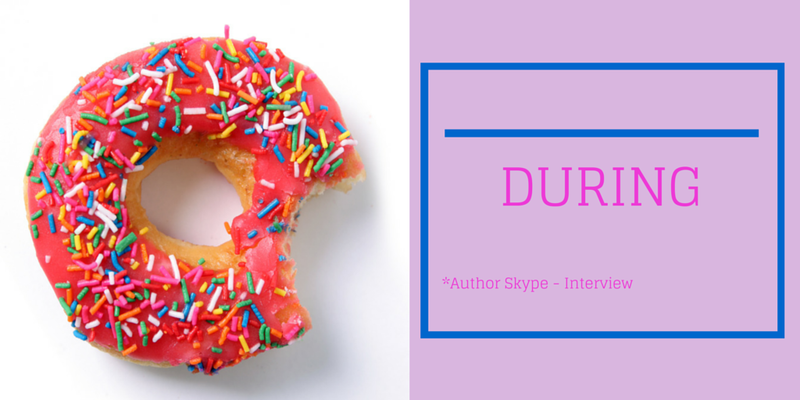 I learned that Skyping is a great way for students to connect with professionals. The benefits went beyond our 45 minutes on Skype. The preparation process and reflections afterwards were a learning experience as well. For my own personal reference and for anyone interested in setting up a Skype for your own class, I’ve highlighted our process along with the biggest takeaways in the eyes of my students below. Students wrote questions on post-its and placed them on a board in the back of the classroom. After completing the book, we read through the questions as a class, grouping like questions together. Students chose to add more post-it questions at this time also. We made a list of questions, making sure to omit repeats. We had a discussion about how to best organize the questions for the interview. This was 100% student-driven and run as a roundtable discussion. Students decided to group the questions into three categories: General Author Questions, Specific Book Questions, and Personal Questions. Students then debated the order of the categories. As a teacher, this was my favorite part of the preparation process. Students passionately shared and justified there views and rationales. “I don’t think we should start with personal questions. I think we should ask them at the end when she is more comfortable,” one said. I loved the thought they put into this, and I think they did a fabulous job. Students also had to show restraint and patience while being good active listeners during this process. I love the real-world skills students must apply and sharpen during roundtable discussions. I put the questions within each category in order and printed a copy for each student. I also emailed the questions to Lisa Graff ahead of time. 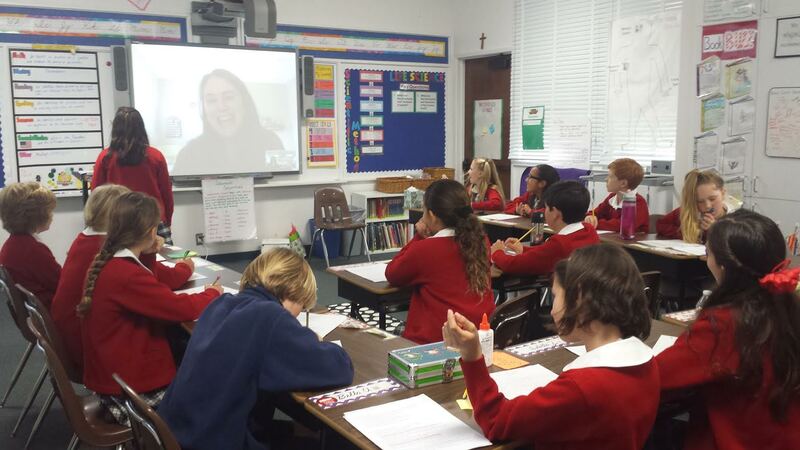 The day before our author Skype, the class did a short practice Skype with a staff member. This didn’t take much time, and I believe it was hugely beneficial. We practiced where to stand, how to transition between questions so we could move things along and get all of our questions in, and how to speak clearly and loudly. I began by saying a quick hello and introducing the students, and we got right to it! Students asked their 29 planned questions. We finished in 30 minutes! Since we had a little bit of extra time, students asked some follow-up questions and shared some of their own comments. Students took notes during the interview. They just had a blank paper with which they could record anything interesting that they’d like to remember. I didn’t ask for anything special in the notes, just that they take some. We signed off in 45 minutes. We shared with one another. 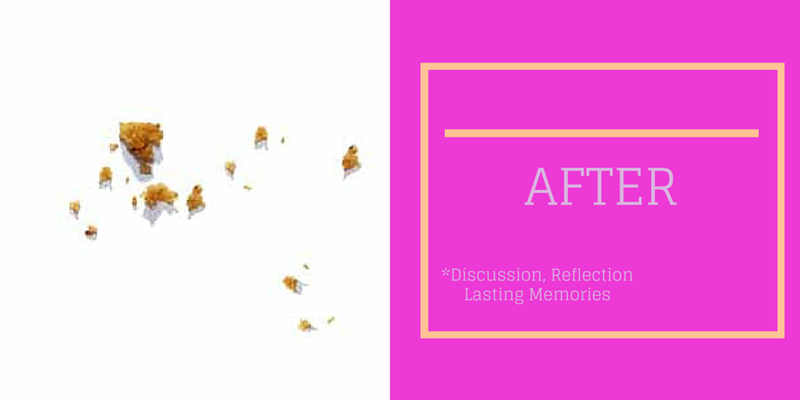 As a class, we discussed what we learned from Lisa Graff. I asked students to write a four paragraph essay about their experience. Students churned these four paragraphs out like it was nothing; there was so much excitement, and they had so much to say. 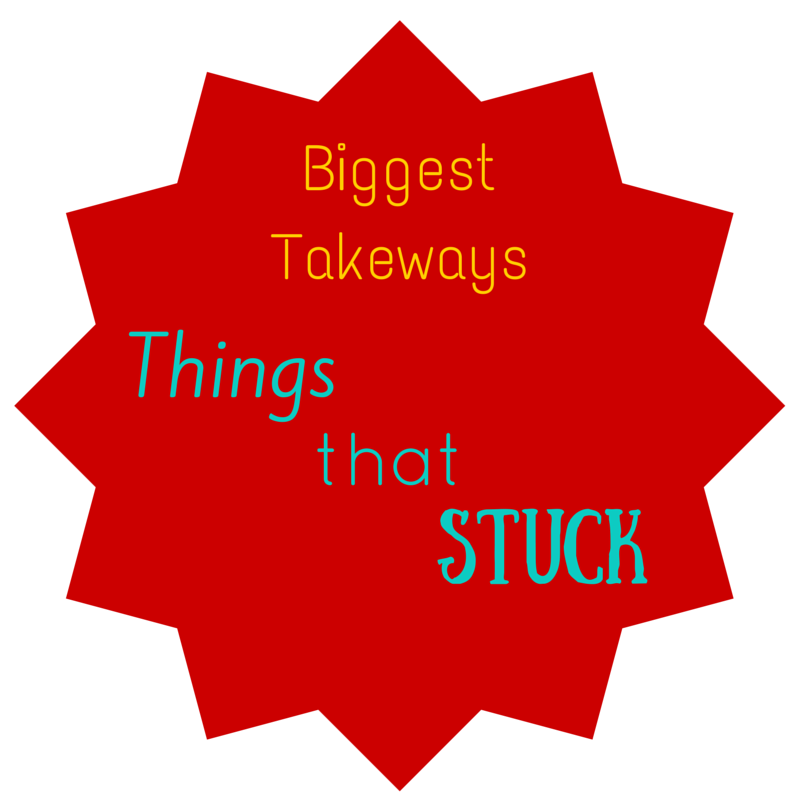 Lisa shared a number of things that stuck with my kiddos. Here are the top ten takeaways…in my students words. She has felt like an almost herself sometimes. Holes was the book that inspired her to be an author. The first book that she wrote, that was not published, was when she was 14 and the book was called A Speck of Dust. Lisa Graff said that a lot of her inspiration [for Absolutely Almost] was from living in New York and being a babysitter. She said that the revising process is always much longer than drafting and that she usually thinks it stinks and wants to quit in the middle. She said she’s never been disappointed once a book is published. When I hear Mr.Clifton’s jokes I wondered how Lisa Graff got those jokes and it turns out that she just looked up in the internet, “Bad math jokes”. I found it very interesting that Albie actually at first liked candy bars instead of donuts, but her editor wanted to change candy bars to donuts, which I think was a great idea. She shows how if you work long enough on the thing you love you will succeed. What I learned from this experience is that it’s really hard to be an author because it takes a long time to come up with an idea for a book and wait for that book to be published and making changes to your book. It’s a long and hard process. In the words of Mr. Clifton, “You can’t get where you’re going without being where you’ve been.” Lisa Graff told my students to write. She recognized that – yes, it stinks sometimes (or as least you think it does), but you can’t get better without producing some pieces to learn from. Each piece students write advances them as writers. Nearly all of my students quoted the advice, “Write, even if you think it stinks.” This message resonated with my kiddos and gave them confidence. In their eyes, if even a famous author thinks her writing stinks as she’s writing sometimes, then it’s ok if they think their’s stinks too. They learned that it’s normal to feel that way, but they must push through and stick with it until the end. Lisa communicated that, in the end, it’s always worth it. See, this Skype went beyond learning a little more about the background of our read aloud. Students were given writing advice and were able to learn about the writing process directly from an author. I have to do more Skype meetings with my class! A big, giant THANK YOU to Lisa Graff for offering the opportunity to Skype with classes. 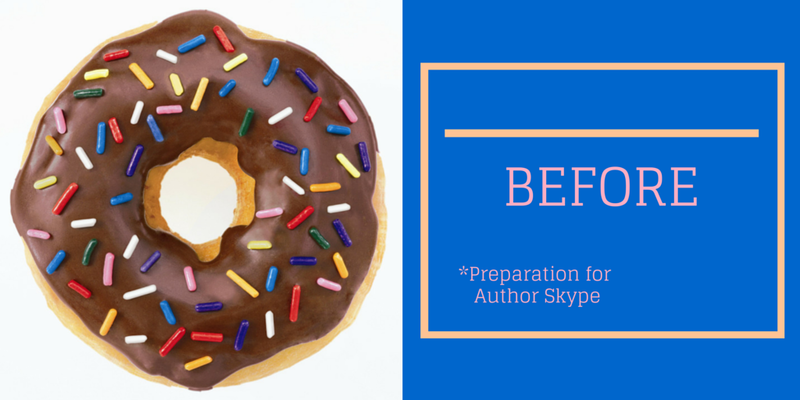 For more information on hosting a Skype session with Lisa Graff click HERE. In 5th grade classrooms, you can use this book to practice making predictions. The pictures in this book are fun, and my kiddos had a blast guessing what would happen next. This is a quick read aloud and well worth the time to share it with your class. This book just came out in 2014 and has received a lot of positive attention and recognition. 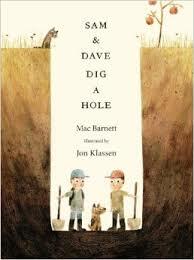 It’s about two boys, Sam and Dave, who, along with their dog, head out on an adventure to find something “spectacular”. 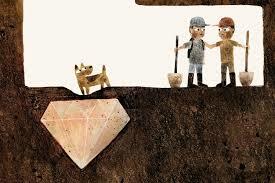 The illustrations show the boys digging, and the reader has the benefit of seeing what’s hidden in the earth (jewels!). 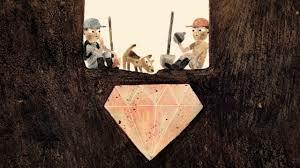 The boys come so close to discovering the jewels but narrowly miss them each time. My kiddos were hollering, “It’s right there!” and, “Don’t change directions!” as we read the book. Throughout the book, you root for Sam and Dave to find the “spectacular” they are after, but they are clueless and continue to dig in different directions before tiring out. The dog, who seemed to know about the jewels all along, digs for a bone when the boys rest, and DOWN, DOWN, DOWN they fall. They land in a yard that looks like their own, BUT if you look closely, you will see several differences. Are they back home? Where are they? That’s the fun for you to discuss with your class! Here is a fun post about 6 theories on the ending of Sam and Dave Dig a Hole. Click here to read reviews on the author’s website. In my class, students and parents quickly become familiar with flip videos, as they are typically assigned for homework two evenings a week. Below is the information I provide to parents at the beginning of the school year so they understand the purpose and benefits of these videos. A “flip” is a short instructional video that students watch from home. It is called a “flip video” because the instruction is literally flipped…students can learn some of the content at home, allow it to marinate overnight, and the following day we can focus on the application of this new content. 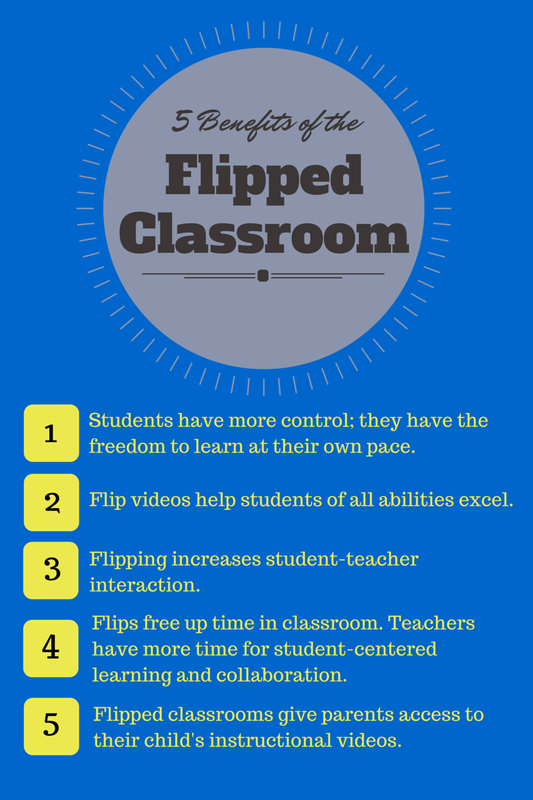 Below is a list of some of the benefits to using flip videos in the classroom. The video provides an excellent overview and explanation of the flip model. 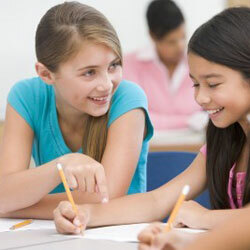 Flipping helps students of all abilities excel – The flip delivers benefits to students across the full spectrum of abilities – from the students who struggle to absorb material as they frantically copy down notes, to the student who is ahead of the curve and gets bored. Having access to consume and replay learning content on demand and increased access to teachers in the classroom can benefit everyone! Students have more control – By providing short instructional videos at home, students are given the freedom to learn at their own pace. Students may pause or rewind the videos, write down questions they may have, and discuss them with their teacher and peers in class. This also allows students who need more time to understand certain concepts to take their time reviewing the material without getting left behind. As a result, this not only improves student achievement, but improves student behavior in class as well. Flipping increases student-teacher interaction– As a teacher, the ultimate benefit I see when using flip videos is the time I get to spend with students in class, the nature of which changes greatly under this model. Now, I can spend one-on-one time with students, or create groups that are struggling or excelling within the same content and give them a mini-lesson or demonstration. The bottom line is that when utilizing the flip video model, I have more time than ever to interact with our students, rather than just “performing” a lecture. Flipping promotes student-centered learning and collaboration – When flips are utilized, more time is created for class discussions, group work, math stations, and teacher consultations. Access = easier for parents to see what’s going on – Unlike traditional classroom models, flipped classrooms give parents access to their student’s instructional videos. This allows parents to be better prepared when attempting to help their students and gives them insight into the quality of instruction their students are receiving. Click HERE OR click “My Flip Videos” in the menu tab to view the flip videos I have created for my 5th grade classroom. Whenever searching for good math games for practice, you come upon websites or posts that include several games, right? But it’s a crapshoot as to whether they actually work or not. Then you have to test them out yourself to see if they are relevant to your grade. As you click on the link, you’re probably also thinking, please don’t be a dead link or inactive game. Well, here are some tried-and-true area and perimeter math games that are relevant to grades 3-5. I use them to review and trigger prior knowledge before beginning our 5th grade area and perimeter unit. I don’t like games that don’t address that area must be squared, so if the game omits that important factor then it is not included here. Perimeter Shape Game – Easy, short review that requires students to shoot shapes with a given perimeter. There are a total of 4 problems. Instructionally most appropriate for grade 3, but good, quick review for upper grades. Interactive Shape Explorer – Excellent 5th grade review tool. 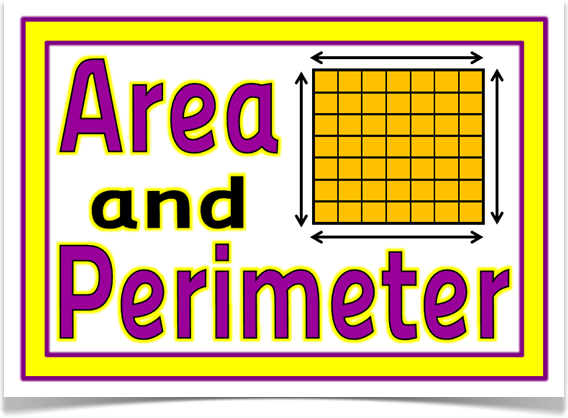 Using square units, this interactive program allows students to calculate area and perimeter and check their answers. If an answer is incorrect, students can resubmit an answer. This program also includes composite shapes which is appropriate for 5th grade review. If you’d prefer composite shapes be omitted, you can check a box so only rectangular shapes are included. Find the Area and Perimeter of Rectangles – An interactive math lesson from Math Playground. Includes 10 questions that require the student to measure the length and width and calculate the area and perimeter. Provides immediately feedback; students click “Check Answers” and find out if their answer is correct before moving on to the next problem. If you’d like students to submit paper answers to you, retry incorrect answers, or add them to math notebooks click HERE for a worksheet that I use for my students. Perimeter and Area Tutorial and Practice – Perfect 5th grade practice and review. At the start, you choose whether to focus on area or perimeter. Tutorials are given at the start of each level. I ask students to begin at level 1 and progress through level 3. This program includes composite shapes. If you’re a 5th grade teacher and you only feel like clicking through one link, this is the one. How to Find the Area of a Composite Figure (video embedded below) – This is a video I created to use as a flip before Singapore Math lesson 5.2a. It goes over three different methods of finding the area of a composite shape. Click here to view/print the handout that I assign along with it. Help me out. If you notice that a game is no longer working, please notify me via comments or email. I’d like to keep this updated so it is a helpful teacher resource.